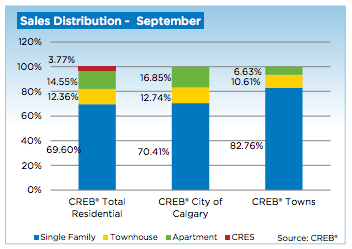 Residential sales in the City of Calgary reached 1,923 units during the month of September. This represents a 19 percent increase when compared to last year. The figures are also significantly higher than the average for the month of September, with the numbers being 14 percent higher than the September average.